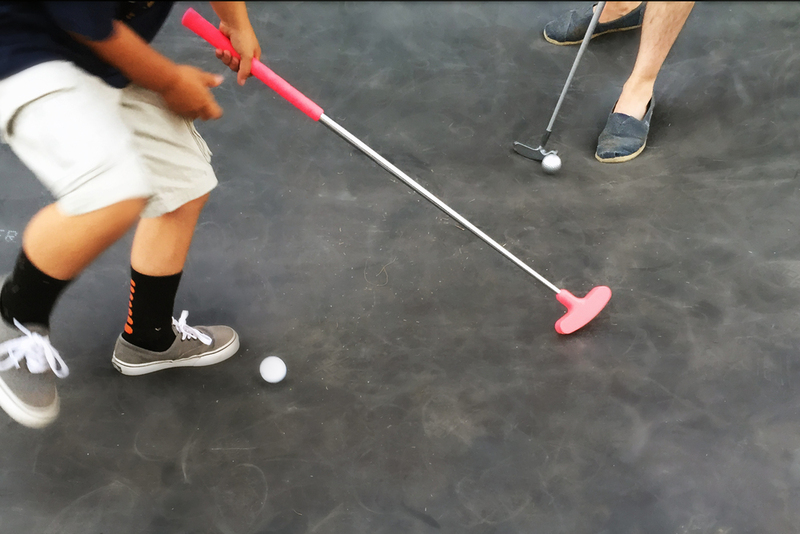 is a mini-golf hole where an obstacle isn't added to the surface, but is the surface itself. SiNK is a winning proposal in a competition to design a single mini golf hole that investigates a contemporary condition in Los Angeles. The installation was built in June 2016 and is open to the public. Sixty percent of California's water comes from underground aquifers. Unfortunately, this resource is being removed faster than it can be restored. Groundwater overdrafting can cause subsidence (sinking of the land) which leads to property and infrastructure damage. Due to the hidden subsurface water landscape, misuse in one location can have devastating effects in a completely different, seemingly unrelated area. 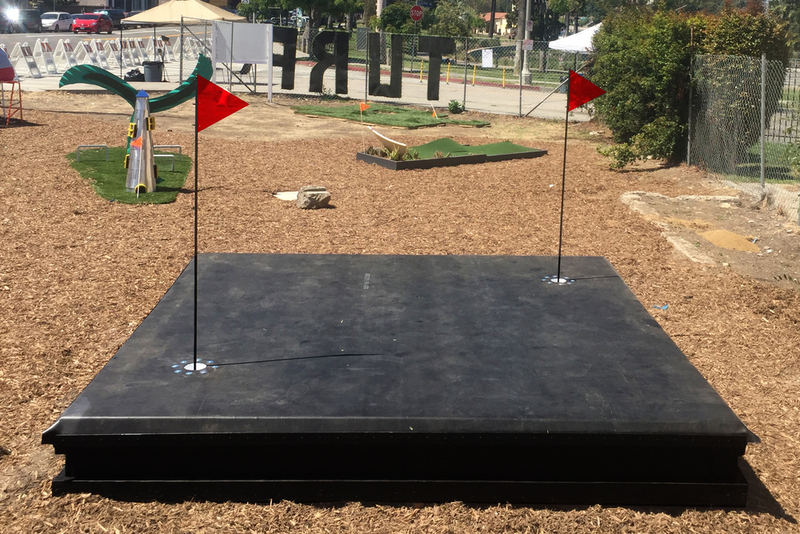 Meanwhile, as Los Angeles struggles with water management, mini golf is critiqued for wastefully running water as entertainment: fountains, ponds and creeks as either obstacle or aesthetic. At first glance, SiNK seems easy, even for a beginner; a seemingly flat roadway, free from any physical obstacles, assures a hole in one. But the field is actually fluid, and upon stepping on the surface, the player's weight displaces the topography and shifts the direction of the ball in unexpected turns. Two holes side-by-side allow two users to play at once, their movements affecting both their own course's topography as well as their neighbors' game. 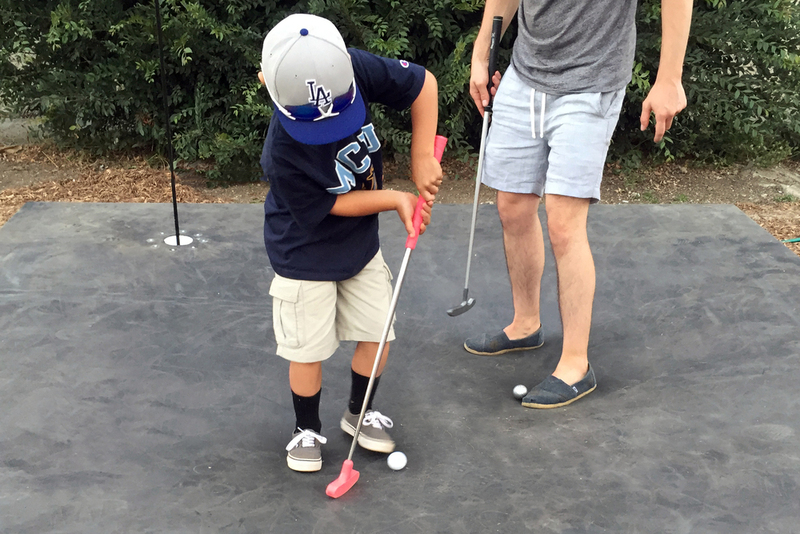 Finally, golf isn't a solo sport. To win, players must focus on their shot as well as the unseen, but critical, issue of groundwater depletion.